Inflation on food articles slowed to 4.72 per cent in December, from 6.06 per cent in November 2017, the official data released showed. In fuel and power segment, inflation rose to 9.16 per cent in December against 8.82 per cent in the previous month. 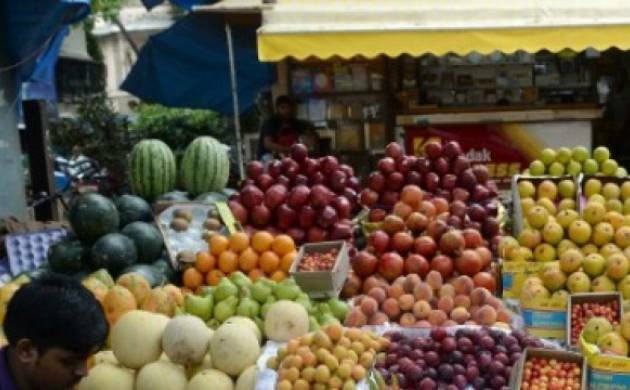 Wholesale price-based inflation fell to a three-month low of 3.58 per cent in December 2017 as food prices softened, prompting the industry to seek measures in budget to strengthen agriculture supply chain. Wholesale price index (WPI) based inflation was 3.93 per cent in November 2017 and 2.10 per cent in December 2016. Inflation on food articles slowed to 4.72 per cent in December, from 6.06 per cent in November 2017, the official data released showed. In fuel and power segment, inflation rose to 9.16 per cent in December against 8.82 per cent in the previous month. Industry chamber Ficci said continued efforts of the government to strengthen food supply mechanism can help in bringing down food inflation further. "We also look forward to the budget to provide details on more specific measures towards strengthening of agriculture supply chain for effective management of food prices. We hope to see the inclusion of petrol and diesel under GST in coming months, which should also help in lowering the pressures of fuel inflation," Ficci President Rashesh Shah said. ICRA Principal Economist Aditi Nayar said that despite the sharp rise in crude oil prices in the current month, WPI inflation is expected in a range of 3.2-3.6 per cent in the March quarter. "While the MPC members would primarily weigh the uptrend in the retail inflation, the dip in the WPI inflation strengthens the case for a pause in the February policy review and fairly hawkish tone of the policy document," Nayar said. Ficci demanded lowering of interest rates by the RBI in its next monetary policy review on February 7 saying it is critical to boost investments and build the growth momentum. Retail inflation breached the RBI's comfort level to touch 5.21 per cent in December on rise in prices of food items, especially vegetables, according to the data released last week. In its last policy review in December, the RBI had kept key interest rate unchanged. It raised inflation forecast for remainder of the current financial year to 4.3-4.7 per cent, on account of global crude oil prices and implementation of the 7th Pay Commission recommendations. As per the government data released, inflation in vegetables witnessed some softening at 56.46 per cent in December as against 59.80 per cent in the previous month. However, kitchen staple onion witnessed a whopping 197.05 per cent price rise in December, 2017. Inflation in protein rich eggs, meat and fish cooled to 1.67 per cent in December, while that in fruits spiked to 11.99 per cent.The rate of price rise in the manufactured goods category stood at 2.61 per cent. Meanwhile, inflation for October has been revised upwards to 3.68 per cent from the provisional estimate of 3.59 per cent released earlier.